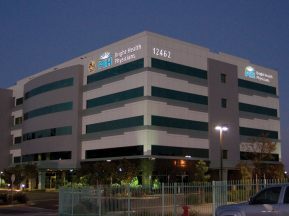 The Methodist Health Systems network is renowned for providing outstanding healthcare and wellness services. 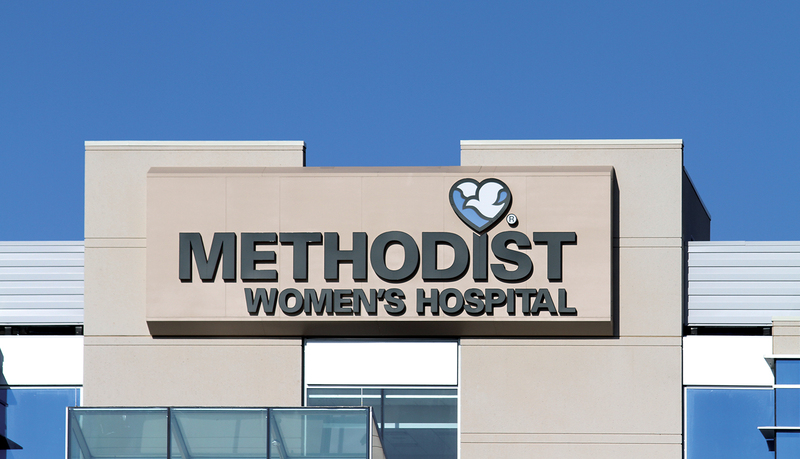 Recently, they expanded to service women in all stages of life by opening the new Methodist Women’s Hospital and Medical Office Building. The hospital provides healthcare and wellness services for women in all stages of life. 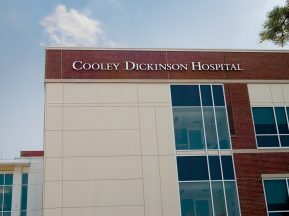 They also provide access to healthcare providers and services for the Methodist Physicians Clinic Women’s Center, which are located just steps away from Methodist Women’s Hospital in the attached medical office building. 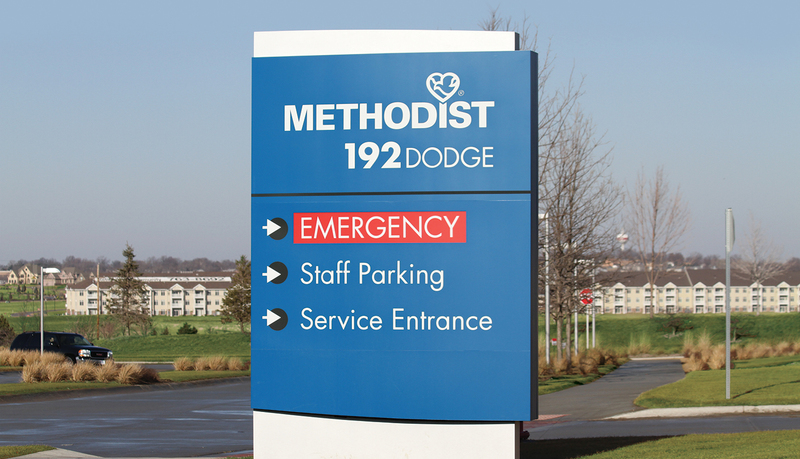 The management team at Methodist Women’s Hospital needed a partner to deliver a turn-key signage solution for the new hospital and medical office building. 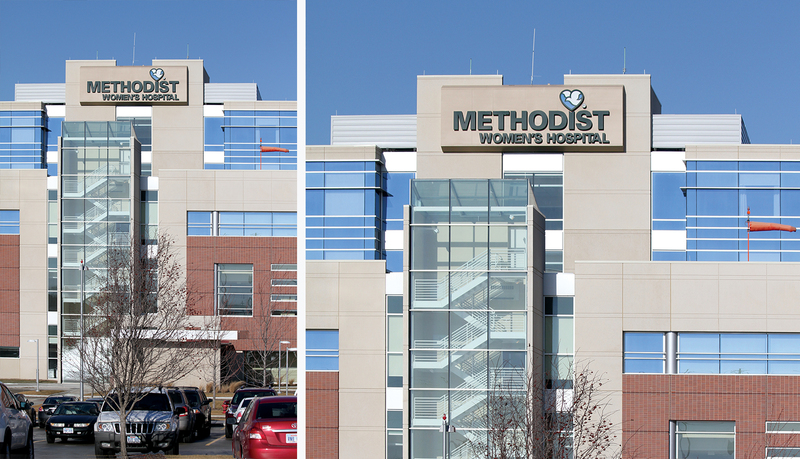 ASI has been a proven, long-term partner for the Methodist Health Network for over 20 years, including a successful exterior re-branding implementation. 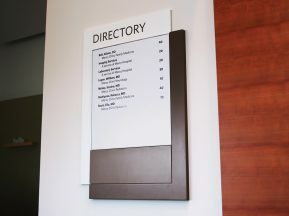 Therefore, the management team asked ASI to design and implement a complete signage solution, including interior, exterior, digital and donor recognition signage. 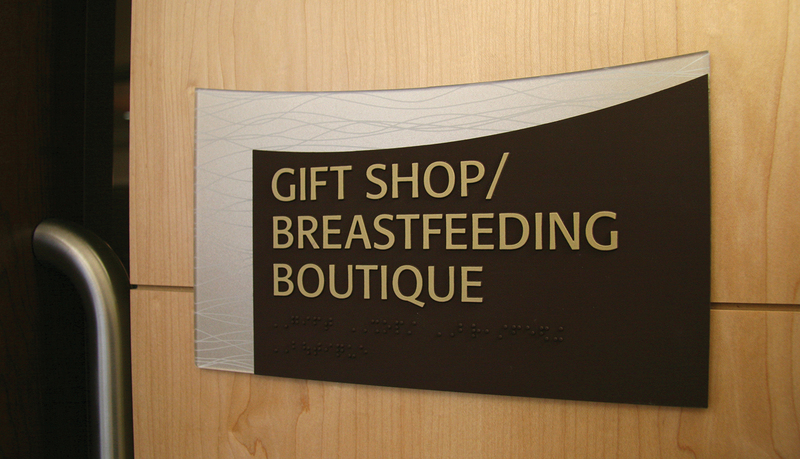 ASI designed a complete custom signage solution that complements the interior design, color scheme and materials used inside the building. After completing a site survey, ASI consulted with the Methodist staff to identify the functionality and performance needed for the new signage program. ASI determined that the solution needed to functional to allow for future updates, meet current ADA guidelines and be the primary wayfinding resource for the hospital. 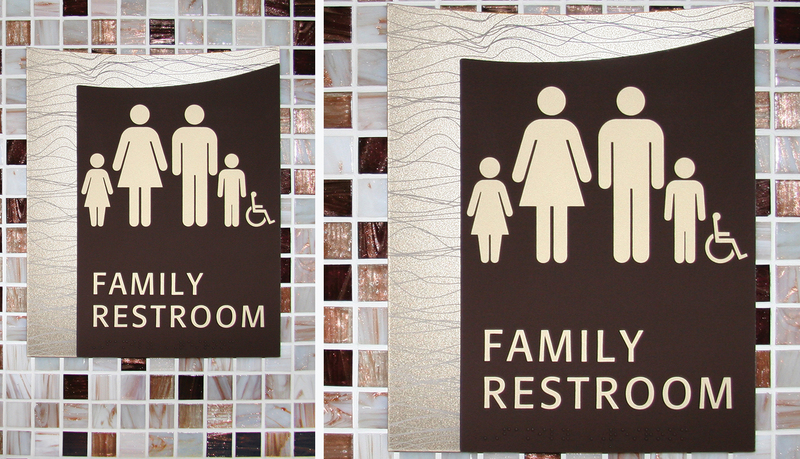 In order to ensure the client was satisfied that the signage design would meet these three key needs, ASI created prototypes that demonstrated the look, function and performance of the interior signage solution. 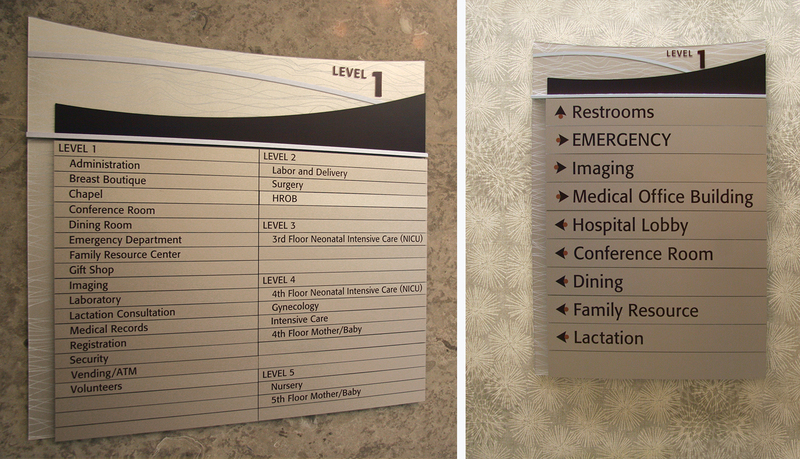 The combination of the wayfinding plan and sign placement at key decision points helps guide patients to where they need to go while helping to keep patients and visitors out of restricted or private areas. 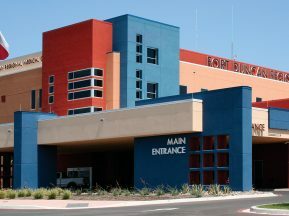 This proved to be challenging because most floors of the hospital were designed with different layouts, resulting in a unique wayfinding plan for each floor. ASI was able to bring cohesiveness and efficiency to a large building by recognizing these challenges and building modular functionality into each sign. ASI also provided a digital signage solution which was carried over from the main Methodist campus. In addition, digital displays were also incorporated into the architectural environment on each floor to communicate important rules and regulations for patients, visitors and staff. 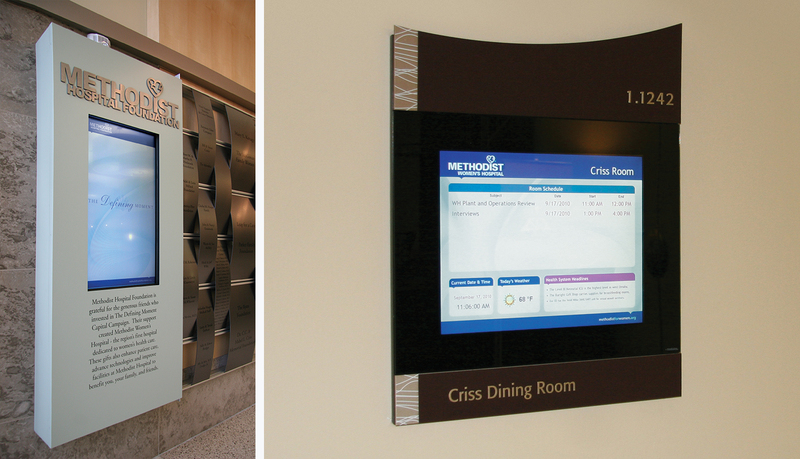 This clean, simple display solution allows for easy updates and will save hospital thousands of dollars over time. 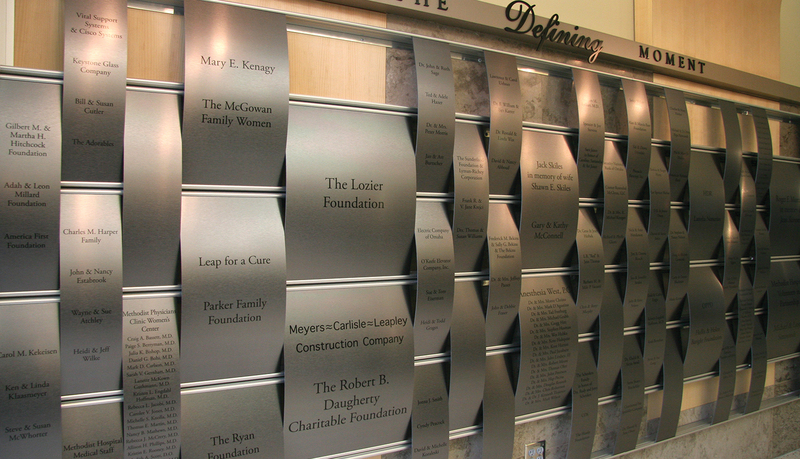 An interactive digital display is incorporated into the custom designed donor recognition wall in the lobby area. The “weave pattern” design of the donor wall is intended to mimic a basket or a woven rug. A horizontal rail system holds custom curved recognition panels in place, which helps create the illusion of a weave pattern. 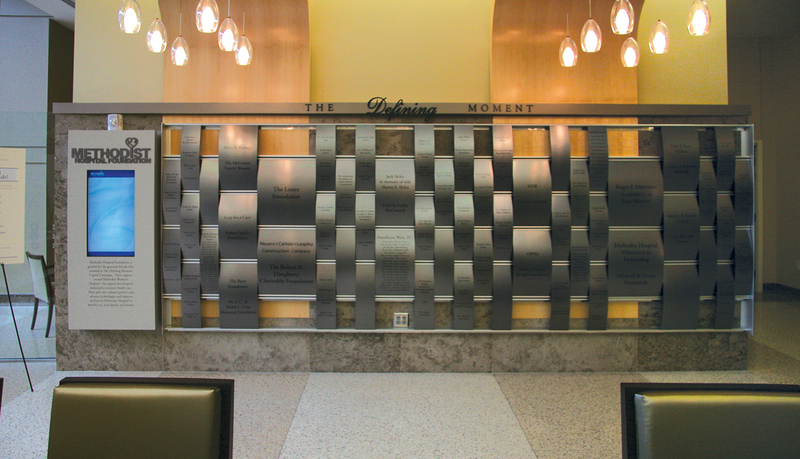 The complete display creates an interesting visual display that enhances the lobby area and draws visitors in for a closer look to recognize these important contributors.